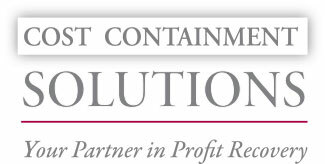 Cost Containment Solutions, Inc. Cost Containment Solutions, Inc. COST CONTAINMENT SOLUTIONS, INC. does it all --- analyze, negotiate and coordinate through installation. It’s our core business – we have the expertise and industry knowledge to streamline the process, so you can get back to business as usual. Consider us an extension of your team as we audit the billing/vendors while holding them accountable to deliverables. And, we can ensure you receive market-leading pricing. That means we’ll take your requirements, coordinate with vendors by negotiating terms, then validate billing accuracy once implemented – saving you time and money. Cost Containment Solutions, Inc. has been a premier management consulting firm specializing in communication invoice/vendor auditing since 2001. Since our launch, the word “Cost” was specific to the monetary savings we provided our clients, and over the years, has evolved as the time savings we provide has been equally important. Managing the process of sourcing, analyzing and implementing data & voice solutions can be tedious and time consuming. And, as companies extend market reach, multiply and evolve their processes, change systems and technologies, ask their people to do more with less, the inevitable happens. Errors. Overpayments. The good news is there is a no-risk way to tap a deeply experienced third party resource to identify, manage and recover any overpayments if warranted while gaining valuable insight regarding best practices. Vendors do not audit themselves in hopes of issuing credits or billing errors back on their customers behalf. These errors are mostly embedded within the billing, often in the form of incorrect billed charges vs. contract terms, inconsistent and miscellaneous surcharges & fees, taxes, etc. Our projects can result in ongoing cost reduction and the potential recovery of historical refunds which can be reallocated within your budget for future technology needs. If you are new to independent communication auditing and the potential value we can provide, please review our service offerings to learn more about the main benefits. Cost Containment Solutions, Inc. is vendor neutral. As a trusted telecom advocate, our allegiance is to you. Once we have delivered our detailed inventory reports outlining contractual obligations and current state of data/voice services, we can provide options to meet your needs and future strategy. ON AVERAGE, WE IDENTIFY COST SAVINGS EXCEEDING 18% – 24% IN NEARLY 92% OF ALL CLIENT ENGAGEMENTS. Audits are sometimes met with resistance. They require the use of scarce resources and they harbor the potential to make a department “look bad” for overspending. Actually, we understand that communication billing can be confusing by design and that managers are not failing if they can’t wring the excess of erroneous costs from the system. We alleviate this overwhelming task of reviewing invoices so your team can focus on their strengths. We’ll approach our task as a team, operating in concert while delivering both expertise and cost/time savings. From additional bandwidth and alternative carrier redundancy to any other strategic need, we can perform the due diligence and vet options on your behalf. We review current contracts and historical invoices to identify billing errors and other overpayments. Utilize proprietary telecom insight to provide benchmark metrics, implement market leading pricing/ agreements or review alternative solutions if applicable. Provide ongoing support to ensure savings are accurate and complete. Athletico has over (300) facilities throughout Illinois, Arizona, Indiana, Iowa, Michigan, Missouri, Ohio, South Dakota & Wisconsin and employs over 4000 clinical and administrative staff. Partnering with Cost Containment Solutions, Inc. provided us a telecom specialist to wade through our monthly telecom invoices and assist in determining the best course of action. As a result, Athlectico is currently enjoying a monthly savings exceeding 22% after implementing the newly negotiated contracts and billing recommendations. Cost Containment Solutions, Inc. prepared a highly detailed inventory report of our telecommunication environment throughout our locations with minimal time investment from our employees. Based on their recommendations, over the course of our engagement, we were able to secure monthly savings in excess of 23% which over the course of 2-years exceeds $142,000 including the removal of erroneous taxes/surcharges. – Corporate Director of Information Technology – Franciscan Sisters of Chicago Service Corp. Unlike many of the other testimonials you may read about Mr. Reifel & Cost Containment Solutions, Inc., they were not able to save us thousands of dollars initially after doing an initial review of our services for our multi-company environment. What they were able to do for us as our services continue to grow and expand, act as our advocate and eliminate much of the hassle and red tape dealing with the service vendors and being a strategic partner in planning future services. The result is less headaches and time wasted. I will take that any day. – Manager of I.T. Services – Learning Resources, Inc. While with my previous employer, Cost Containment Solutions, Inc. was able to streamline our services and remove excess vendor margin resulting in actual cost savings exceeding 30% within (4) separate business units. This success prompted me to introduce them to audit our communication vendors with UGN, Inc. Steve Reifel and his team were able to provide a thoroughly detailed evaluation of our voice/data services. They functioned as an extension of the UGN team and were able to implement recommendations resulting in 26% reduction in our telecom spend while upgrading some of our services in the process. This does not include the removal of $48k in annual cost savings within our budget tied to services found to be unnecessary or obsolete from the inventory reports prepared. – Sr. Infrastructure Manager – UGN, Inc.
Kolcraft has and continues to improve its utilization of both voice & data services today, while it also continues to maximize cost savings at the very same time. 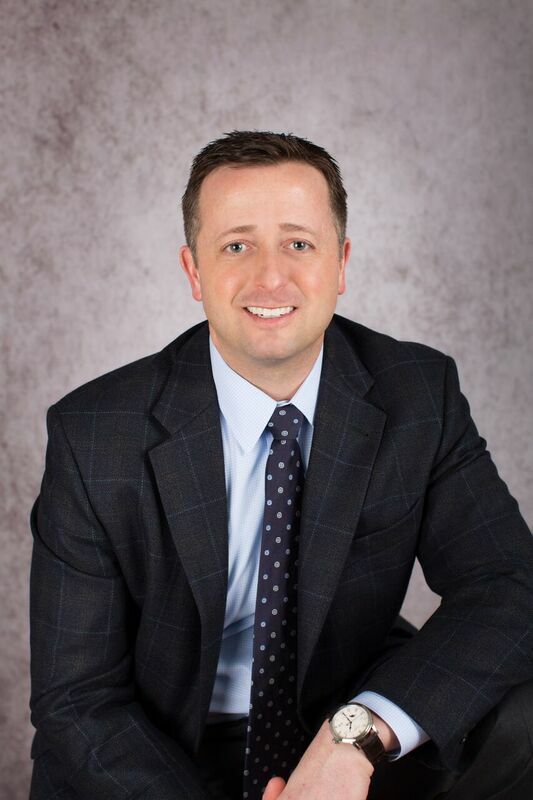 Kolcraft also has and continues to retain Steve Reifel and Cost Containment Solutions, Inc. as a member of its team simply to keep current with all of the changes. I would highly recommend this organization to anyone that wishes to maximize business communications efficiency while maximizing cost savings at the very same time. Engaging Cost Containment Solutions, Inc. has helped to make my job much easier. The process is simple. The analysis and recommendations are thorough and clearly presented. I have an industry expert available to consult with and am confident that our telecom invoices are accurate. I would like to express my appreciation to Cost Containment Solutions, Inc. for the excellent service you have provided IGA, Inc. Customer satisfaction is the key to success in today’s competitive environment and in all of our engagements, we have experienced a high level of quality of service that makes your organization unique in this industry. Overall, IGA, Inc. has seen monthly cost reduction savings exceeding 32% +/-. – CFO – IGA, Inc.
Hamilton Partners has multi-locations and over (260) phone lines to administer. Cost Containment Solutions, Inc. assistance has been invaluable. They not only saved us money going forward but were instrumental in getting various credits and overcharges dating back as far as 1999. I would highly recommend them to any organization that wants to curb costs and receive the very highest level of customer service. – Administration – Hamilton Partners, Inc. Please call 1.888.467.6394 or complete this form so we may contact you to schedule your no-obligation consultation. Nearly 92% of all client engagements result in significant returns. If no telecom errors or overcharges are recovered – you owe nothing, and you gain the peace of mind knowing your team is among the best in cost management!